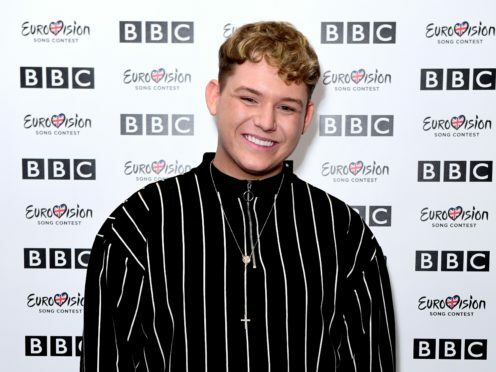 Michael Rice has won the public vote to represent the UK at the Eurovision Song Contest in Israel. The 21-year-old from Hartlepool will sing the track Bigger Than Us at the continent-wide competition in Tel Aviv in May. Rice is no stranger to TV singing shows, having won All Together Now on the BBC last year and making it onto The X Factor in 2014. BBC producer Mel Balac said: “This has been such an exciting year for Eurovision: You Decide with new format changes that we hope have really made the competition and programme more geared to find the perfect song. Former Great British Bake Off presenter Mel Giedroyc and past Swedish Eurovision winner Mans Zelmerlow hosted the show from Salford. Rice, who owns a waffle and milkshake business, was up against five other acts, performing three different songs. Rylan Clark-Neal was among the judges who put Rice, Kerrie-Anne and former Britain’s Got Talent singer Jordan Clarke through to the final three.